Deadpool 2 is sure to produce some major box office returns for weeks and months to come, but the movie's soundtrack is a star-studded beast of its own. 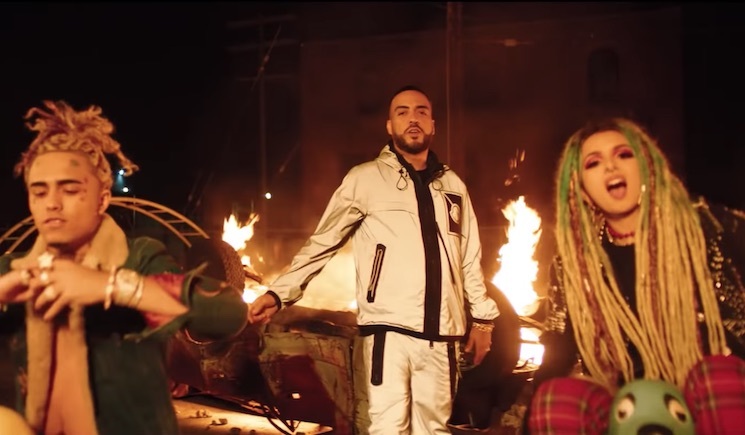 We've already heard Diplo, French Montana, Lil Pump and Zhavia's big-budget anthem "Welcome to the Party," and today it gets a suitable high-action music video. Like so many soundtrack hits before it, "Welcome to the Party" has been retrofitted with clips from Deadpool 2 alongside shots of its performers. In addition to all three vocalists, Diplo opens the clip as a particularly greasy baddie. Watch the high-octane video for "Welcome to the Party" below. Deadpool 2: Original Motion Picture Soundtrack is out now via Twentieth Century Fox Film/Columbia Records.